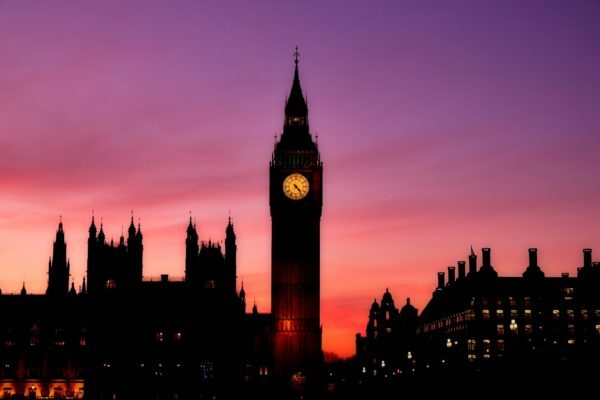 Despite the recent economic hiccups, the United Kingdom is increasingly becoming a business hub in Europe where different aspiring entrepreneurs gather to work on their dreams. There are many industries which are experiencing a rapid growth on a yearly basis in this great region, creating a lot of job and business opportunities. Because of that reason, the demand for business plan writers (UK) is rising at a phenomenal rate. But who are business plan writers and what do they have to do with the growing rate of the emergence of new businesses? Let’s break it down – it’s easy to think of new business ideas, but formally writing everything down in a presentable way with accurate facts and statistics, in order to win loans from financial institutions and angel investors is something else entirely. This is exactly what professional business plan writers help with. By providing their consultancy and their impeccable writing services, these “planners” help aspiring business owners launch their ventures with ease. In this article, we will discuss why the demand for business plan writers in the United Kingdom is at an all-time high and how they can help you kick-start your business. Let us begin! An extremely crucial aspect of any business plan is research. If the initial research isn’t done properly, the business is bound to come crashing down in the near future or not launch at all in the first place. A lot of people migrate to the UK in hopes of launching a business and working on their dreams on a daily basis. According to one study conducted in 2014, an immigrant-owned 1 in every 7 businesses in the UK. That figure has likely increased. For immigrants, it can be especially challenging to conduct market research. Learning everything there is to know about the competitors and the conditions/trends of the industry isn’t something that can happen overnight – you have to take help from a person who has been in that particular industry for years. The laws in the United Kingdom are quite comprehensive and keep changing from time to time. For that reason, entrepreneurs should keep themselves up to date with any amendments that might take place in order to avoid any legal hiccups. An aspiring entrepreneur who hasn’t experienced the “inside” of the industry, might not understand all of the legalities to keep in mind while running their future business. A business plan writer can help in that regard. They are people with industry experience and are aware of every relevant legal aspect one needs to know about in order to run a business in a particular market. This is yet another reason why the demand for these professional writers/consultants have gone up! Let’s face it – the world is becoming a crowded place! And with people like Gary Vaynerchuk motivating people to quit their dead-end 9-to-5 jobs, it doesn’t come as a surprise that every other individual wants to run their own business! While it’s absolutely true that success doesn’t come overnight, you need some sort of an additional push to kick-start your business at the very beginning. But, how are you going to do that? By creating a killer plan that no other competitor could come up with! Availing the services of a business plan expert could help you a lot in that regard. Do You Need a Business Plan Writer? If you are still reading, chances are that you are about to launch a business in the UK and are hoping for someone to answer the golden questions: “Can’t I simply prepare the business plan myself? Do I need to hire a business plan writer?” The answers are: Yes and yes. Confused? Let us explain. You can definitely write the business plan on your own. There is no law stopping you from writing a business plan yourself and without consulting an expert beforehand. But there’s no guarantee that what you prepare will help you succeed. Your idea may be amazing but if it is not properly presented or is prepared with inadequate research, it will eventually fail as you won’t be able to attract investors. Therefore, you definitely need to seek business plan writers in the UK to help you prepare the perfect plan. This will allow you to flawlessly deliver pitches to different investors, be it financial institutions or angel investors! Here are the two other reasons why you need the experts on your side. A persuasive writing style combined with impeccable business vocabulary and, of course, error-free grammar is the key to preparing a winning business plan. Every business plan expert is well aware of this secret and this is something which they specialize in. Therefore, you definitely need their writing expertise by your side if you want your business plan to be truly fantastic. You can’t become a business plan writing expert and consultant overnight. You need to spend years or even decades working in an industry or two before being qualified to provide consultancy to entrepreneurs. This means that all successful business plan writers have some sort of industry experience and can help you modify your business plan according to the ins and outs of the industry you want to work within. All aspiring entrepreneurs with zero industry experience definitely need the expertise of business plan writers. If you also happen to be one such entrepreneur, then start looking for a reliable professional today and choose the best one according to your needs.